1-3) On rare occasions three sifrei Torah are taken out from the aron kodesh on Shabbos. Every year on Simchas Torah, and on years when Rosh Chodesh Nissan falls on Shabbos (because it is also Parashas Hachodesh) [as it did in 5751 when this sicha was given]. 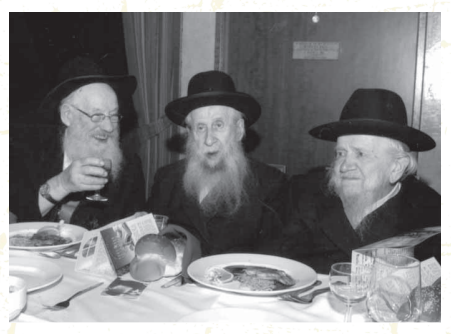 Taking out three sifrei Torah on Simchas Torah (and also Rosh Chodesh Nissan) affects the entire year, even those years in which Rosh Chodesh Nissan does not fall out on Shabbos. Taking the sefer Torah from the aron Kodesh corresponds to aron Habris that went out before the bnei Yisroel in the desert, destroying the enemies (for this reason we recite the verse “vayehi binso’a ha’aron” upon removing the sefer Torah from the aron). This gives power for both “turn away from evil” as well as giving additional power in serving Hashem in general.